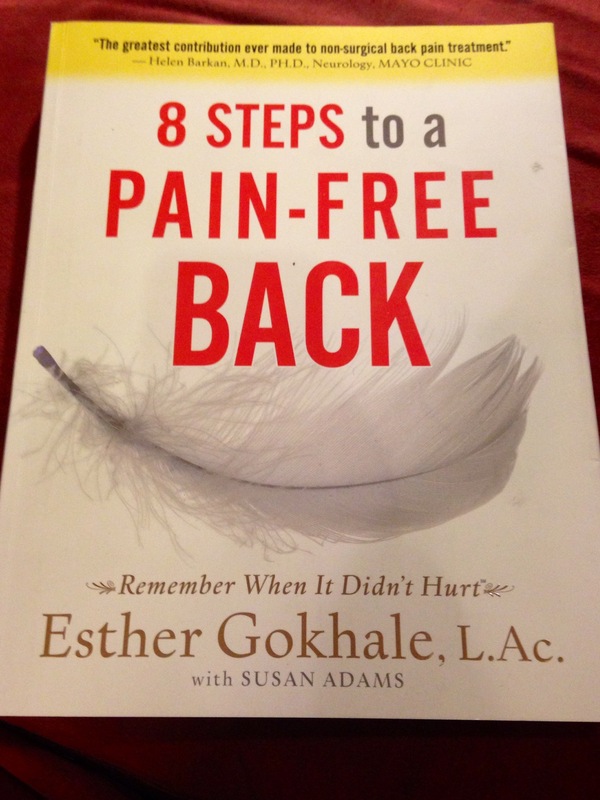 After the operatic soirée, where I talked at some length about the connection between singing and posture Richard recommended to me a book by Esther Gokhale “8 Steps to a Pain Free Back”. What a great find! The author went around the world in search of people who can still stand and walk in a natural way. She also has insights as to why women’s backs went bad as soon as the corsets were out and it became fashionable to look “relaxed”. I would add that flappers were supposed to be flat-chested and many women became self-conscious about that part of their bodies, hiding it between the shoulders. But what happened to the men? Men’s fashions did not change all that much until the Beatles got out of their suits in 1960s. Ms Gokhale says another factor is lack if proper modeling from family members. But where did those male family members loose their proud posture? My pet theory is that posture is a reflection of a general state of mind. In Polish, BTW, “attitude” and “posture” are the same word. We start as children looking forward to each day and every new experience, we reach up, get up, get going. But the world that presents itself to an adolescent can be intimidating. Academic expectations, competition, uncertainty – some individual’s deal with those elements of school years better than others. The less confident ones hide in their shells, sink into their bodies, bend under a real or perceived burden of life. A few years in that mental and physical space and your back starts to hurt. Gokhale’s book gives some great tips on how to reconstruct a natural posture. I believe It is the same posture that enables singers to phonate with the greatest ease and efficiency. I did not study it in traditional cultures but I did study it in dancers, actors, athletes and , of course, in singers. It consists of a well “stacked” spine and the pelvis without posterior or exaggerated anterior tilt. Esther Gokhale makes a good case that some anterior tilt is actually part of the healthy posture. This is a very subtle distinction, because you don’t want to “tilt” forward the hips of someone with lordosis. I bet she can help a lot of people with hands on work. Anyway, the photographic material makes it pretty clear: the pubic bones that hold all the “guts” should be under you, not in front of you. The top bones of the pelvis should be in line with the hip joint, not behind it. It can feel like they are pushed forward. I love how she explains the issues of the spine but have a bit of a problem when she talks about other parts of the body. From a singer’s perspective the advice on the movement of the rib cage is incorrect. The breast bone doesn’t move with every breath, doesn’t need to. Observe the chests of the most powerful singers – completely immobile. Also, I would never try to “fix” or stretch the neck, with any physical manipulation, like pulling up by the hair. I disagree with the notion that the weight of the body should be carried primarily on the heel, as the “delicate” bones of the front of the foot cannot handle that task. If you ever tried to jump from any height and landed on your heel you know why this is dangerous. The bones if the front and middle of the feet are there as shock absorbers, and we should use them more, not less, to reduce impact, especially to protect the knees. Manually massaging and twisting the feet to give them the “desired” kidney shape – I think she means developing a proper arch – just doesn’t work. In order to twist the foot in this way you need to indeed stand and walk primarily on your heels. Which is unnatural. The muscles of the foot are not getting exercised by carrying the body’s weight but by that artificial twist. A very good idea in the book is the concept of exercising posture during everyday activities and even resting. Now this is a workout after my heart – even in your sleep! This part reminds me of Alexander Technique, which is another good posture correction system. Part if it consists of stretching the back while lying down, which is assisted by a practitioner. Ms Gokhale shows how to do it yourself. In general, great resource including lots of inspiring pictures.